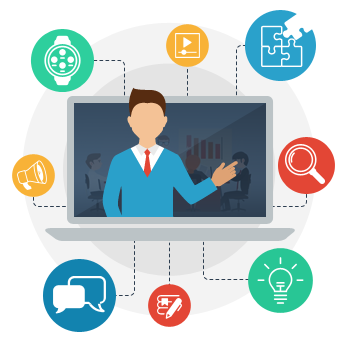 In today’s world, a webinar is not only a remote lecture on video communication but a useful tool for generating leads and promoting on the Internet. By giving people the opportunity to find out the information they are interested in, you will receive contact information of potential customers already interested in your services in return. On gaining wide application in the advertising field, webinars received a powerful push to automate many functions. After all, to use all the capabilities of this tool you need to perform many operations manually. Therefore, we have prepared materials on how to make an assistant tool in conducting webinars, which meets all modern and personal needs. Remote presenters. Of course, it makes no sense to consider the functions of tools without regard to specific use cases. Modern programs for webinars successfully merge on and off campus using remote interaction features. For example, as a webinar has two parties – learners and presenters – participants can access an event from all over the globe using PC or phone. That’s why if there are several presenters who are not in one place, they can either access all the features by joining the event or even run several programs on the presenter’s PC remotely. Discussion management. An important role in the webinars is played by discussions. You can, at your own discretion, determine who can participate in the discussions during the webinar. However, it should be noted that not always the possibility of managing textual communication is the determining factor for the choice of the instrument. Sometimes basic settings are enough especially if there is only a need to deliver the same information right away to a large number of listeners. Training integration. In training webinars within companies, there is usually a need to organize group work. Therefore, some of the tools allow learners to interact with each other in a mixed webinar which is combined with face-to-face activities. There are webinar tools integrated with the distance learning environment called Moodle. The creators of Moodle training courses have the opportunity to build in the learning process such training formats as online training, and master classes, into their webinars. Promotion enhancement. Also, more and more often webinars are used not in training but promotional purposes. Some of them make it possible to create a landing page for an online event with a webinar description and registration form. After registration, a mass mailing of invitations to the webinar can be carried out directly from the platform. To define a format of webinars which will be organized by means of application you can also use market research results. Development. In the development of the application associated with the video signal, you will have to face the prevention of connection loss, the quality of signal transmission, video capture from the host computer screen, etc. Also, you may need to develop algorithms for remote connection and control of a computer. Quality assurance. Another important point is ensuring the quality of the application. Webinars require the simultaneous connection of a large number of people (from 2 to several thousand people), which implies high loads on the server side. Therefore, it is important to test the application operation in both ideal and unfavorable conditions – unstable connection, numerous simultaneous requests, etc. Support. Technologies do not stand still, so it’s important to implement improvements to the application as often as possible. The support team will cope with this task. GoToMeeting is a well-known webinar and video-conference tool with a long history. This is the basic solution allowing to create conferences with up to 15 people first launched in 2004. In addition to the basic features, it gave an ability to record discussion for further playback, sharing access to individual applications, tools for drawing on the screen and for generating reports. It gradually evolved into one of the greatest webinar tools as it uses patented technology that allows access to an arbitrary application running on the presenter computer in real time. GoToWebinar is another project of the same company, Citrix Online, used to create webinars for 1000 people simultaneously. Creating a reliable application for webinars is not much different from creating any other quality application. 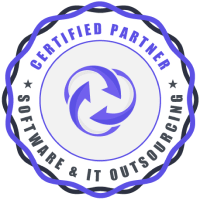 All you need to remember about the peculiarities of this sphere is that it needs to support working with a large number of participants in real time, which means high software and server loads. However, carefully designed application architecture and quality testing of all the elements of the system will allow you to create a worthwhile product for both mass and personal use. If you’re planning to start a new business online, but are not particularly tech-savvy, it can be difficult to know what the proper steps are to follow. This brief will get you started in the right direction. Think of your target audience and briefly define your concept. Review your competition, namely a company that has already “made it”. You will save a lot of time and money by going through this brief review. For example, if you’re planning an ecommerce business, then it would be great to review the TOP 3-5 links from your most well-known competitors and see what their key features are. It is not necessary to copy what they’re doing, but it will help you to obtain some idea of what is needed for the success of your project. Decide whether you are aiming for a static HTML vs. dynamic website. A static site is where nothing changes; content is uploaded and displayed “as is”. A dynamic website, however, will have data pulled from a database so that you can display your website content by date, category, etc. (e.g. social networks). Here is one trick we would suggest that you consider: It would be great to come up with a minimum and maximum list of MUST-HAVES. In other words, it’s unnecessary to copy ALL OF EBAY, but it would be great to make a list of the major feature sets that align with your vision. This will help you to reduce your initial cost, define a feature list for proof-of-concept with minimum required functionality, and make the concept scalable in the future when it proves to be successful. This step will help you give a clear vision for your entire workflow. For example, if you are planning to develop a new social network with video sharing, or an online radio station, or interested to start sports betting website, first you have to review where you are planning to take the content from and in case if you need 3rd party content like live video stream or match scores, it’s important to identify where that data would be retrieved from via API services and review the API in terms of availability and documentation provided; for example, all betting feeds for match scores, or sports results are usually paid. We would also suggest creating small sketches to illustrate your vision. Itera Research would be glad to do that for you upon your request. When you have your concept and the vision for workflow, it’s time to start looking for quotes. sometimes CMS is not a good fit when there is a lot of sophisticated, custom-tailored functionality required. In this latter case, it would be more reasonable to consider custom development (e.g. Open source). For example, for a regular blog, using WordPress would be fine, but for custom product configuration, you may need a strong PHP developer who will be able to add that functionality to your website. Itera Research comes up with suggestions regarding technology based on the tech review conducted for the requirements provided. We work on websites using .NET and PHP (WordPress, Magento, custom), as well as options to use Symfony2, Yii, and ZEND for custom development. If you decided to move on based on some CMS like Magento or WordPress, there is an option to consider already one of existing WordPress templates or WP themes, and in this case the first two stages mentioned above, would be done, the cost would be covering just template review and customization but remember that the design and theme will not be unique. Itera Research is glad to offer you full-color graphic design for all your WordPress or Magento projects. Web development is something that should be planned in advance. When our customers are considering quotes and choosing contractor, we are happy to submit a project plan, milestones, and deliverables per milestone for customers review. Itera Research suggests to divide delivery process by Milestones, and summarize features set to be done per each Milestone along with calendar plan. The customer is then invited to check the results from the staging server (Itera Research performs deploy into staging server, so that our clients can check the website pages throughout the development process once we have something done and available for a tech review.). 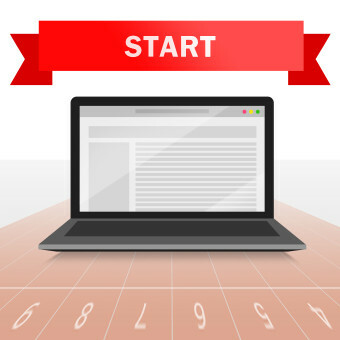 When you’re ready to deploy your site, it’s time to look for a domain name. The main principle is to make it short, recognizable, and related to your business name or industry. I would avoid taking the last name of a real person (unless you are Mr. Gates, of course), or choosing famous brand names with one letter changed. Sometimes the strategy can work, but it can make marketing efforts quite difficult, which is part of your overall strategy that you’ll want to be effective. Consult with tech personnel regarding hosting (this depends on the expected peak loads, technology used on the website, and other factors). For example, clouds are very popular in recent years, and they’re perfect for large-scale heavy projects (with shared servers and large data flow). However, the secret is that some websites simply don’t need to utilize clouds when dealing with small or even mid-sized web apps or websites with small to average dataflow. Itera Research provides server set-up services for our customers and we would be glad to share our recommendations for hosting (according to project size and technology employed).